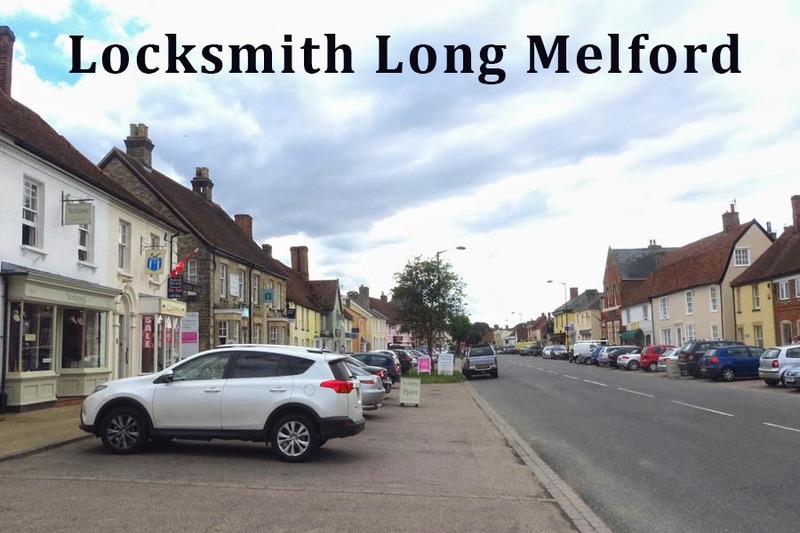 Long Melford Locksmith – Locksmiths in Sudbury, Suffolk. We cover Long Melford and all surrounding areas 7 days a week – 24 hours. We offer very competitive fixed rates for all aspects of residential locksmith work in and around Long Melford, Suffolk. Based in Sudbury we are able to attend most locksmith jobs in Long Melford straight away and also offer evening and weekend appointments. For emergency locksmith work such as lock-outs or lock failures we are usually able to attend within 20-30 minutes. & days a week – 24 hours a day. Lock Changes in Long Melford. 24 hour locksmith service in Long Melford and all surrounding. No call out charges! No Hourly rates! We offer a fixed fees for residential customers for most aspects of our locksmith services. Given before we attend or undertake any works. Our emergency lock out service. uPvc lock adjustments or repairs. We have replacement locks and cylinders starting at £20 for Yale and uPvc type cylinders. Discounts available when replacing more then one lock at a time, ideal for home movers. Please feel free to call for free advice or a no obligation quotation either over the phone or in person.